For the first time in its 52-year history, the International Primatological Society has elected a University of Wisconsin–Madison scientist as its president. Karen Strier, Vilas Research Professor and Irven DeVore Professor of Anthropology, accepted the gavel from the society’s outgoing president, Tetsuro Matsuzawa of Japan, at the joint meeting of the International Primatological Society and the American Society of Primatologists in Chicago this August. Strier’s main research interests are to understand the behavioral ecology of primates from a comparative perspective and to contribute to conservation efforts on their behalf. The northern muriqui monkey, which she has studied in Brazil’s Atlantic forest since 1982, is a model for comparison with other primates. It is also one of the most critically endangered primates in the world. Strier earned her Ph.D. from Harvard University in 1986 and joined the UW–Madison faculty in 1989. 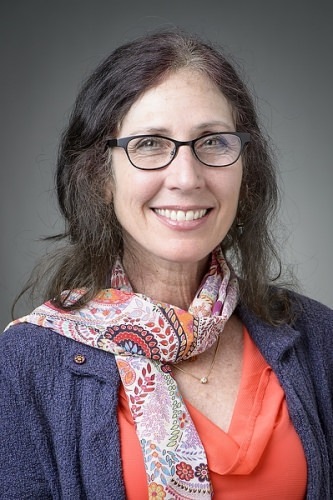 She has been a long-time affiliate scientist of the Wisconsin National Primate Research Center, collaborating on several research projects with Toni Ziegler, a senior scientist and head of Assay Services at the center. Her work has been featured several times, including in Smithsonian Magazine and Wings Worldquest. The International Primatological Society was created to encourage all areas of non-human primatological scientific research, to facilitate cooperation among scientists of all nationalities engaged in primate research, and to promote the conservation of all primate species.